NMAS Mediator Course - the first step in becoming a professional mediator. NMAS Mediator Course and Assessment is delivered fully online via eLearing and video mediation role plays. 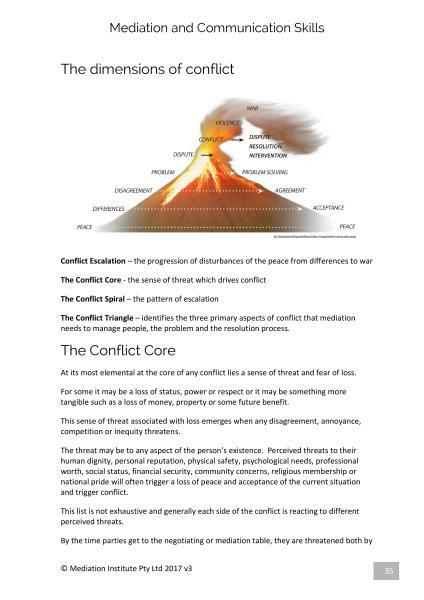 You will participate in a minimum of 9 role plays including a minimum of 3 as a mediator prior to a 90 minute role play assessment. The Mediation Institute NMAS Mediator Course and Assessment is delivered through flexible, accessible online learning. Theory – Training is delivered through an e-learning platform and live webinars. Skills – Skills are developed through live mentored video mediation role plays with other students. Assessment – The course fee includes the fee for assessment (and re-assessment if required) at no extra cost. No. 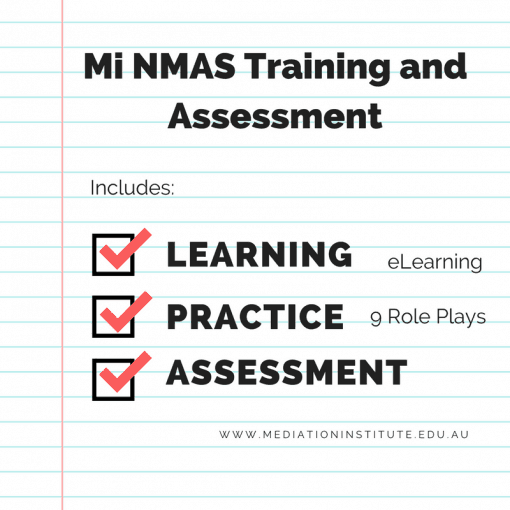 There are no special requirements with regards to previous qualifications or experience needed to enrol in the NMAS Mediator Course. 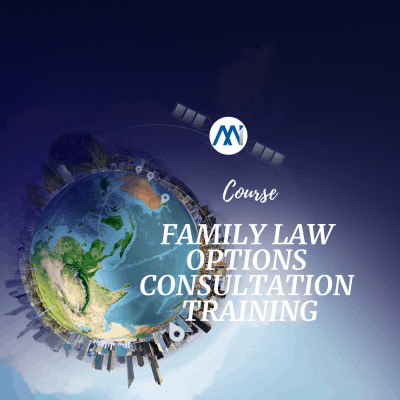 The course must be delivered in English and requires sufficient spoke and written English to enable you to fully participate in mediations as a role player and mediator. If you are unsure of your ability to complete this course please call our office for a discussion. Phone 1300 781 533. What is the Assessment requirements? You will complete quizzes during the training to assess your theory knowledge. You must complete a 90-minute assessment role play to demonstrate competence in the skills. We understand that not everyone learns at the same pace and that sometimes people mess up in assessment situations. 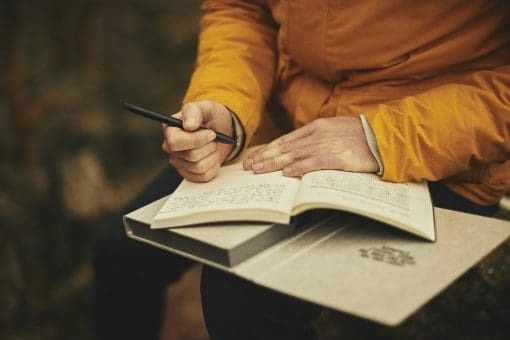 If you are not assessed as competent in your assessment we will provide additional mentoring and the opportunity to be re-assessed at no extra cost. That depends on you. The course and assessment takes a minimum of 40 hours to complete. We generally have between 5 and 9 role play opportunities available each week so in theory you could complete the course in two weeks. 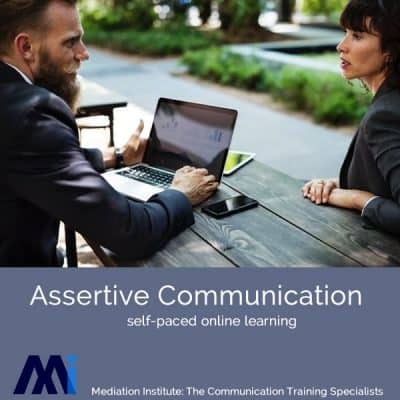 In practice most people take between 4 and 12 weeks to complete the course as they prefer to only commit to one or two role plays per week. You have 6 months from your enrolment date to complete the course and we are very understanding if life events require you to suspend the course for a period of time. 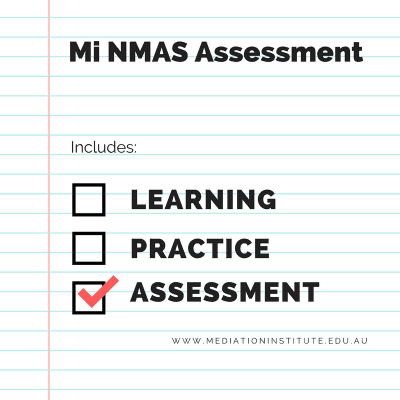 Does passing the assessment mean I am NMAS Accredited? No. 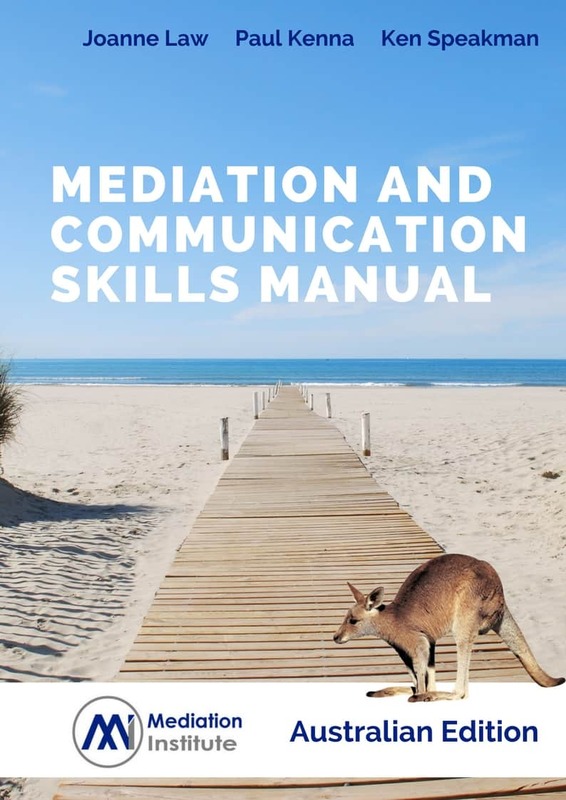 Once you have completed your Accreditation Assessment you must complete an application process to a Recognised Mediator Accreditation Body (RMAB) such as Mediation Institute. This includes meeting good character requirements. Yes. If you can pay in one payment you can do so online by clicking Add to Cart and following the payment process. If you would prefer you can propose a payment plan of up to three months. Just tick pay by bank transfer option and put in a note about your preferred payment plan and our team will contact you. Please note: payment plans are arranged as an authorised credit or debit card payment plan and are interest free.